How do you feel about getting a hot stone massage?” asked Kelly. Considering my yoga-stiffened legs, my deadline-ached back, and my basic relish for being treated well, I figured that question could be likened to a jailed man being asked if he wouldn’t mind the key to his cell. A hot stone massage is exactly as it sounds. There are no surprises. No chants. No whistles. No hops, skips or jumps. The treatment involves laying yourself down on a massage table swathed in lovely cloth, closing your eyes, and having several hot stones strategically placed on your body. Once placed, more hot stones are used to deeply massage your muscles and warm your skin. 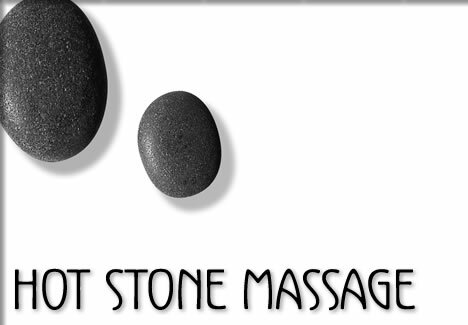 I had my very first hot stone massage recently, by, you guessed it, Kelly Rettinger from Sacred Stone. This is a fitting thing, considering Kelly is the pioneer hot stone massage therapist for the west coast. The treatment has since become so popular that almost all Tofino spas offer it. Kelly says this time of the year is the busiest—the rainy, cold weather makes the connection. Not a lot of people are too into getting doused in heat during the summer, but come winter, they don’t want anything else. Basalt stones of various sizes are water-heated and placed on key points of the body—the feet, the hands, the forehead, the back. During my treatment, I lay on a bed of eight warm stones set up in rows of two under my back. At the same time a row of large, heavy stones were placed on my chest and belly. The heat was soothing. I sighed. It was bliss. Of interest is that despite the pressure the stones presented on by belly particularly, I was not really aware of their presence, until they were removed. I had a similar sensation with the stones used to massage. Although I felt them traversing along my skin, they did not feel like solid objects, but rather elements such as warm water, warm air, or, combined with the massage oil, warm butter — in a good way. I think this sensation was because the warmth of the stones found its way deep into my skin, muscles, and bones, and stayed there for awhile, even though the rocks only passed along my skin’s surface for a moment. The larger stones can stay hot for up to an hour. The smaller stones cool faster, but are continually replaced with ones freshly warmed. Highlights of this treatment are difficult—the experience as a whole was very relaxing, non-intimidating, and lovely. But if you really pressed me to provide a highlight, I would say the placement of small, cute warm stones between my toes while larger stones massaged the base of my feet, would be the runner up. The number one prize would go to the face massage. In this sublime scenario, I had two large, river-smoothed, flat rocks resting on my eye sockets, while my neck and face were treated to a rippling of fingers and thumbs smoothing out any tightness I had buried in my features. More often than is rare, my face, particularly my chin, becomes very sore. I contribute this sensation to me unconsciously flexing it while thinking about whatever it is that is on my mind. A lot of people store their emotion and feeling in their face and I am one of them. Headaches and sore chins are a symptom, and it turns out, hot stone massages are the remedy. The treatment is an hour and a half, give or take the time you need to converse about the procedure. I really liked it and chances are you will really like it. Unless of course, you’re crazy. Hot stone massage is exactly as it sounds. The treatment involves having hot stones strategically placed on your body and to deeply massage your muscles.